Technology is always going forward, computers are the future and our present, Bitcoin is going with it as well, and since the start of this year, the value of BTC has gone upwards. Investors are gaining profits from BTC, not just from the rising price of BTC, but also by checking other alternatives. You may be asking yourself: So what’s all this buzz about? Is there a secret way I might not be informed? Well, here’s the answer. Being a big part of the BTC transactions every hour, on-line gambling, betting sites and casinos are helping the Bitcoin price go up, while getting you some extra money, and today we’re reviewing a good one. Whether you are new to bitcoin casinos or an experienced player, we got you covered in this one. NAS Casino is a Bitcoin-only casino with a clean and fast user interface, easy to use and with a great feel. The whole website is optimized for mobile devices as well, just log in from your tablet or smartphone and you’re ready to go. With over 4 years of experience providing their service, NAS Casino has gone through an optimization process over the years, in order to manufacture what today is their product. Fortunately, the registration process is easy and fast, you won’t have much trouble with it, the activation email does not take too long, it took us about 2 minutes to receive the email, so don’t worry, you’ll be able to start using your account in no time. After you have registered and activated your NAS Casino account you can start making deposits, the transfers are secured with the Cubits API, making your deposits and cash outs easy. 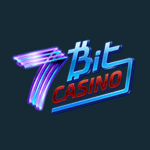 They offer over 250 games from famous table games, card games like poker and blackjack, dice, slots and lottery, developed by popular developers like SoftSwiss, Endorphina, Betsoft Gaming, and Ezugi, to a Live Dealers and a Provably Fair Bitcoin Roulette. Making it a great place to gamble in games that suit your taste. 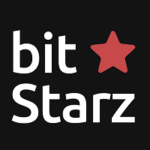 – 110% Bonus for free on your first deposit, for deposits starting at 0.05BTC and up to 1.37BTC. – 50% Bonus for free on your second deposit, for deposits starting at 0.01BTC and up to 3.5BTC. 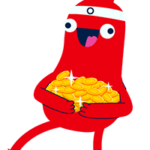 – 100% Bonus for free on your third deposit, for deposits starting at 0.25BTC and up to 2.5BTC. – Monday Night Magic: 25% Bonus for free on (GMT+1) Mondays, for a maximum of 0.75BTC per deposit, letting you make several deposits per day. – Thunder Thursday: 20% Bonus for free on (GMT+1) Thursdays, for a maximum of 1.5BTC per deposit, the winner is chosen at random. – Free Spins Friday: on (GMT+1) Fridays you get 25 free spins for depositing 0.1BTC and 0.75BTC. They also offer free spins in Facebook promotions, giveaways on social media, and free spins on your birthday. 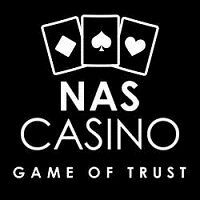 Overall the NasCasino gambling site feels great, it is secured with HTTPS connection enabled at all times, your BTC are well protected, and it is regulated under the open gambling laws of Curacao. Although it does not accept other cryptocurrencies, it is a really good choice for both new gamblers, and veterans with a lot of experience, providing lots of hours of game. I have a question for the casino. Are you going to pay me my winnings ? I’ve been waiting for two weeks !